IS DEBT SETTLEMENT AN OPTION? WHICH TYPE OF BANKRUPTCY SHOULD I FILE FOR? IF I AM MARRIED, DO I HAVE TO INCLUDE MY SPOUSE IN FILING BANKRUPTCY? WILL I LOSE MY PERSONAL BELONGINGS IF I FILE BANKRUPTCY? WILL I LOSE MY HOUSE OR CAR IN A CHAPTER 7? CAN I STOP FORECLOSURE BY FILING FOR BANKRUPTCY? WHAT IS SECURED VS. UNSECURED DEBT? WHAT HAPPENS TO MY SECOND MORTGAGE IN A CHAPTER 13? WHAT HAPPENS TO MY CO-SIGNERS IN A CHAPTER 13? WILL I EVER BE ABLE TO BORROW MONEY AGAIN? HOW LONG DO I HAVE TO WAIT TO FILE BANKRUPTCY AGAIN? 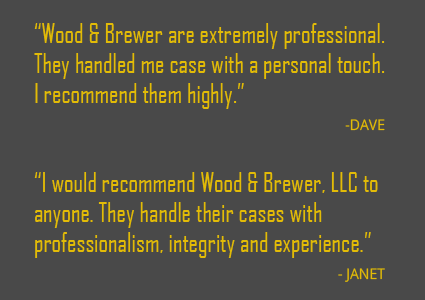 At Wood & Brewer, LLC, our Westerville bankruptcy attorneys are truly passionate about what we do. We have experience with both debtors and creditors, and we aim to provide representation when our clients need it most. Backed by more than 15 years of experience, our team promotes a close client / attorney relationship. This way, you can make sure that you always have access to your attorney throughout the duration of the case and you can have your questions answered whenever you need them. Our lawyers come together to bring a unique perspective to every case we handle. This allows us to come up with the right option for you and determine whether Chapter 13 or Chapter 7 bankruptcy will serve most beneficial. It is your life and your case, and you are our priority. We know firsthand the effects of financial struggles, and we know what it feels like to worry about being able to pay for debt. This is why our Columbus bankruptcy lawyers work hard to help you alleviate your concerns and help you start fresh. 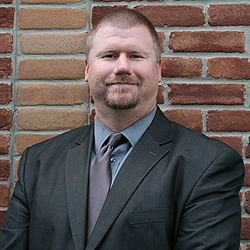 Attorney Wood is passionate about helping individuals find a solution for their financial struggles, and successfully move forward in life. Recognizing how difficult of a process bankruptcy can be, he provides personalized and attentive counsel for his clients throughout his or her entire case. Attorney Brewer became a bankruptcy attorney because she cares about helping people. 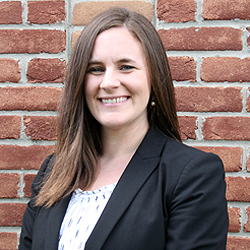 Familiar with the methods used by creditors to collect payment, she protects the rights and well-being of clients in pursuit of favorable outcomes.